Information about the STEM Innovation Grants and a link to the application can be found here. Please read carefully through the Grant Guidelines before submitting an application. 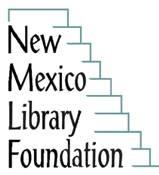 The New Mexico Library Foundation’s grant process is competitive. We don’t want to reject any grant because the guidelines were not followed. We look forward to your library’s application!